Equipped with TWIN SCREW AIREND from FUSHENG in Taiwan, which is the global major company. Available for both of direct driven and belt driven type. Maximize the cooling effects by applying Upper-Size cooler. Reduce the operational costs by minimizing maintenance. Well designed for easy maintenance. 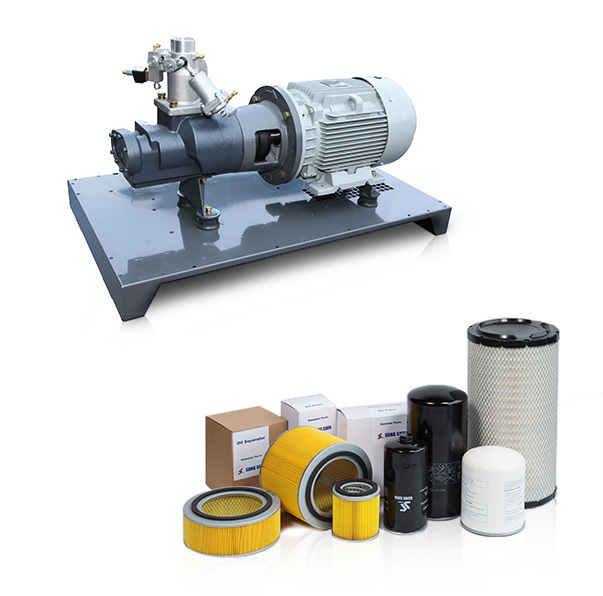 MANN FILTER produced in Germany and domestic factories. 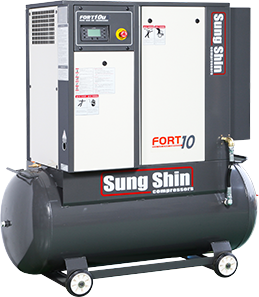 Our company only assures the quality of all air compressors made by SUNGSHIN, when you use the genuine products. Our professional service team always takes care of your product! 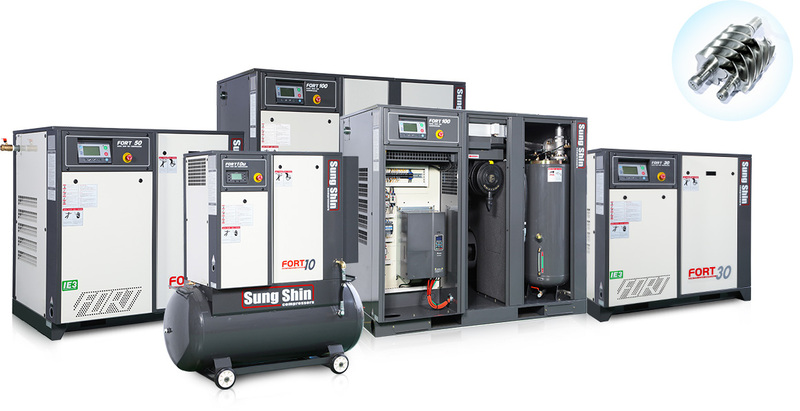 Our company highly recommends using the genuine product of SUNGSHIN! Differentiation from the first and second generation of 4 lobe 6 flutes type by developing 5 lobe 6 flutes rotor profile. It improves around 25 percent of the energy saving effects by the extremely precise technology. It is the best AIREND in the world with the long life expectancy, high efficiency, high stability, low vibration, and low noise. It prevents the oil leakage with the special seal and o-ring offered by FUSHENG R&D. 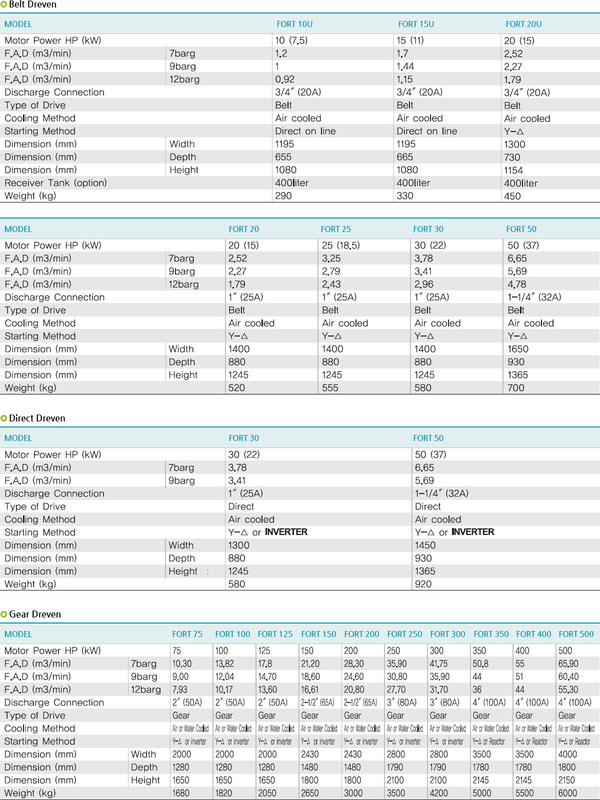 It shows the perfect high speed durability by the high quality and well-balanced design. 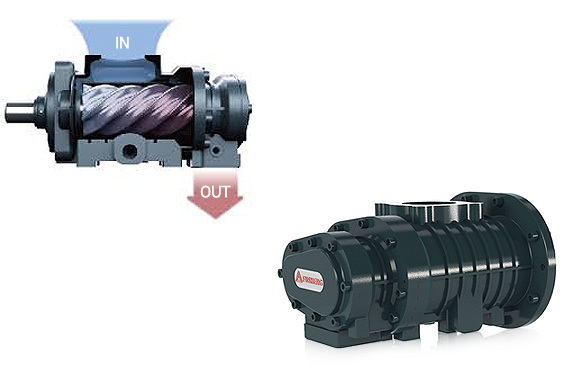 It is time to catch at an opportunity to experience the best compressor !